Opening September 15 at 6 p.m. The Xippas Gallery is delighted to present an exhibition by the Greek artist, Takis. At this occasion, a recent set of Signals and a series of Magnetic walls will be revealed. 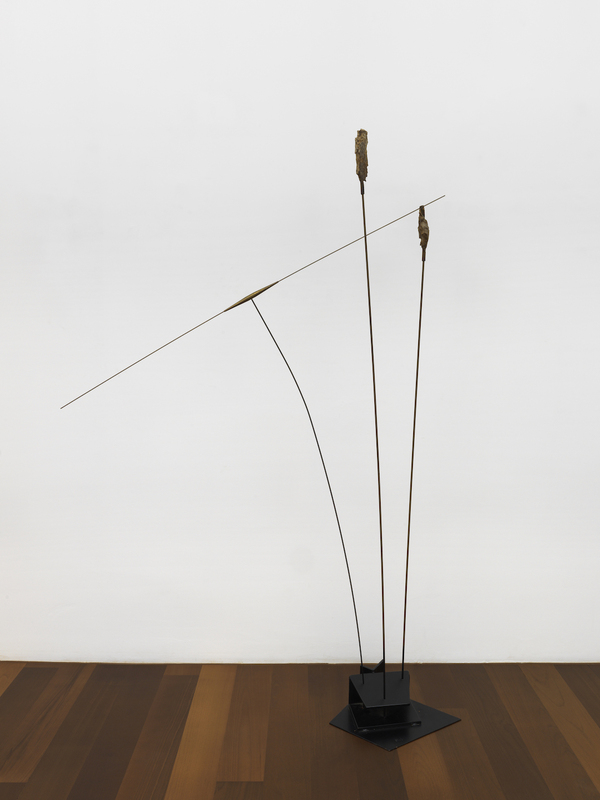 Takis is considered as one of the few reformers of sculpture after Brancusi and Giacometti and one of the last important artist of his generation. 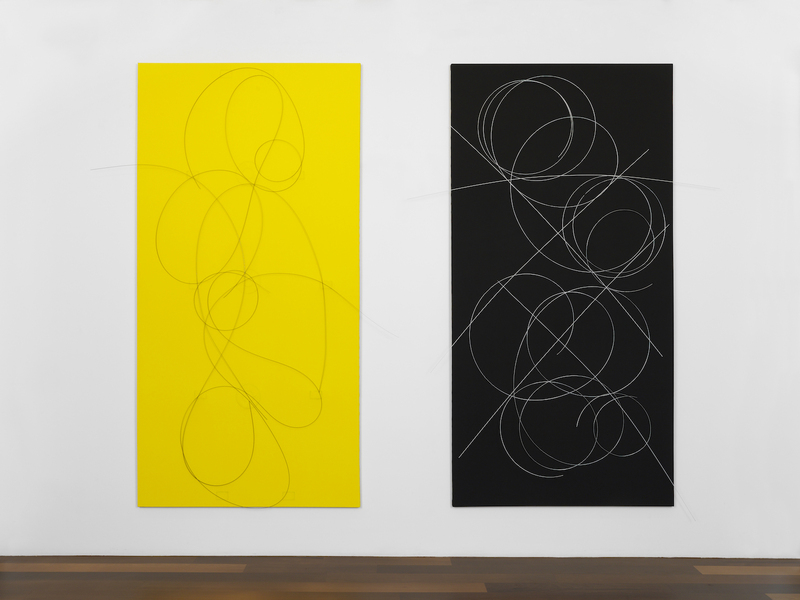 Takis explores energy and the magnetic forces through his work. The discovery of this phenomenon, at the beginning of his career, reveals a decisive experience for the young artist he was at the time. From that moment on, he makes magnetism one of the great foundations of his work, exploring all the possibilities that this powerful and invisible force of attraction offers, multiplying scientific patents and experiments. 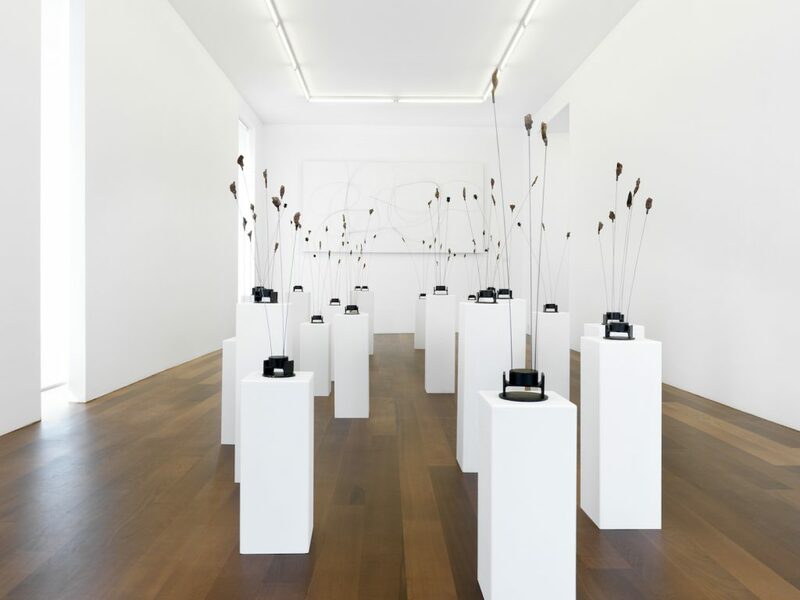 Considered as an avant-garde contemporary artist, his work is also rooted in a sculptural tradition. Rising from art history, whether ancient Greek sculpture, Calder, or Giacometti, Takis was able to generate a vocabulary of forms very much indicative of what is central to his work : representing the invisible forces. Fleeing Greece for political reasons, the self-taught sculptor, Takis moves to Paris during the 50s. 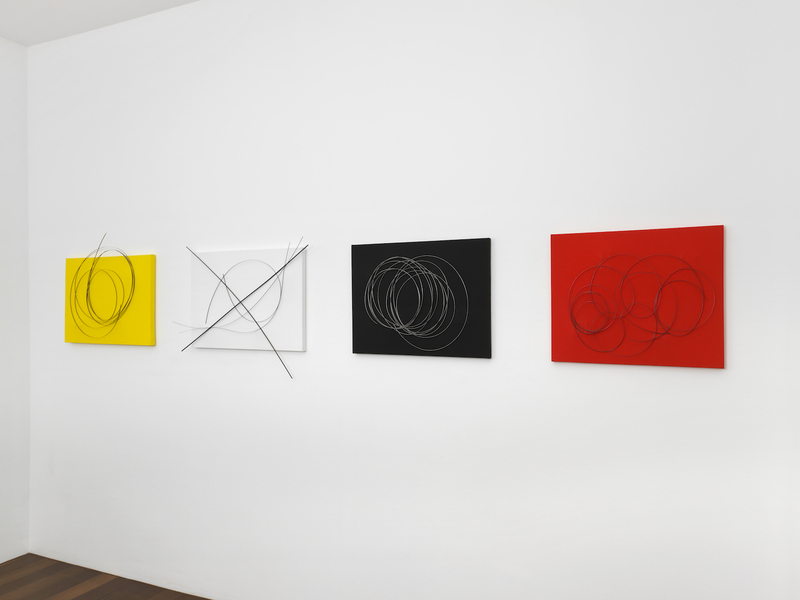 He experiences, for the first time, an exhibition by Calder. He discovers these flexible structures that seem to resemble a tree with floating leaves. Shortly after, he is hit with a vision in the Calais station of a sea of elements of signalling, monstrous proof of a world of technology to come. 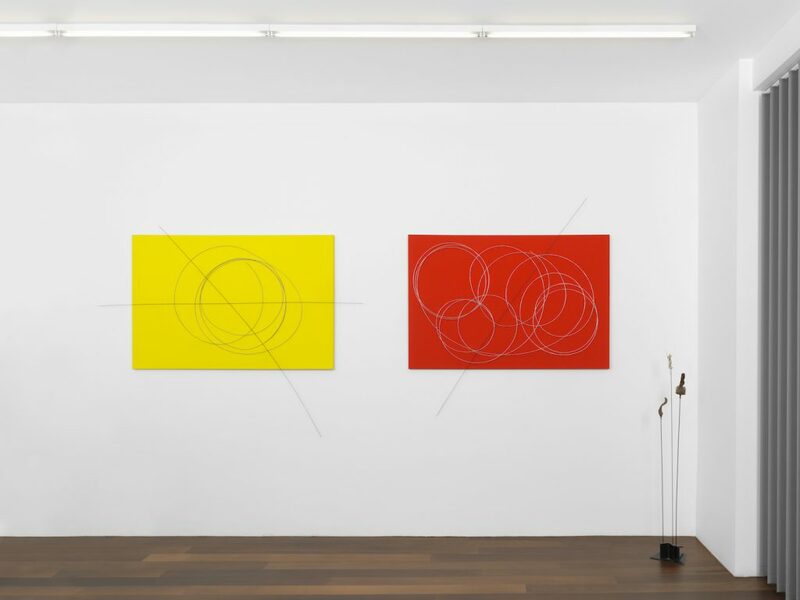 From these two encounters came the big family of Signals that stretches throughout all his work until today. Fine metal rods rise up in space like totems, where the slim form hints at the figures of Alberto Giacometti. At the tips, steel parts are welded, for some, this represents bombshells, witnesses of the Second World War and the Civil War, both distressing and upsetting Greece. Therefore, stiff at first, these long rods with heavy tips come to life, bowing in the wind, reacting to their environment, strained under the effect of gravity. This exhibition also presents a set from Magnetic Walls. In the 60s, Takis, who was fascinated by magnetic fields, tried to incorporate this into his work. He created compositions that he titled Tableau Vibratif, Téléscupture and Magnetic walls. Thus, Magnetic walls, made with metallic forms that are subject to magnets attached to the back of the canvas, move feverishly and mysteriously on the surface of the paint. 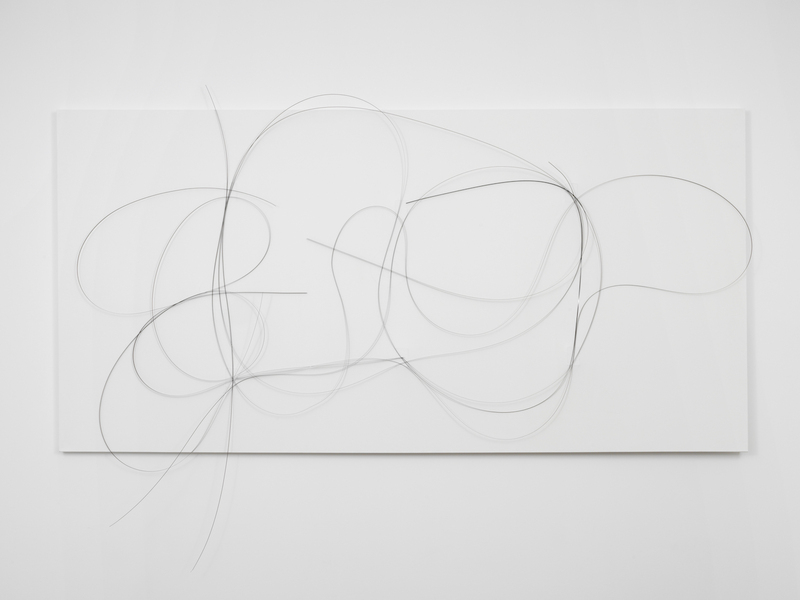 The metallic elements are connected to the canvas only by the magnets and therefore can be moved freely by the viewer. The work then changes status and becomes an interactive and evolving installation, questioning the role of the viewer and the randomness of each form. Panagiotti Vassilakis Takis was born in Athens in 1925. He was taught by a Greek craftsmen working on stone. In 1946 he began his sculptural research with works that recall ancient art and Giacometti’s spindly characters, and then evolved towards more refined forms. In 1954, he moved definitively to Paris where he joined the studio of Brancusi for a few months. Then, he created Signals and started to exhibit his work in Paris. He is one of the few reformers of sculpture after Giacometti and Brancusi. 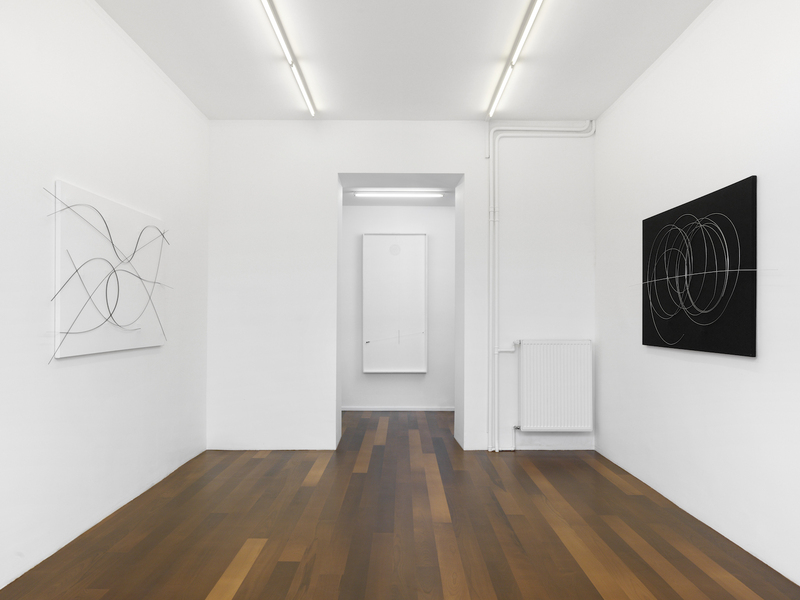 However, his work is unclassifiable, it is never assimilated to a school, it is based on the exploration of energy and the representation of invisible forces. In 1998 he received the National Award for Sculpture in Paris and the same year, the basin installation, with seventeen of its Light Signals was inaugurated in the centre of the Esplanade de la Défense, in Paris. He was then exhibited at the Galerie Nationale du Jeu de Paume, in Paris, in 1993. In 2011, four Aeolian Signals were installed in the garden of the Palais Royal in Paris. More recently, in 2015 the Palais de Tokyo in Paris dedicated a major retrospective entitled Champs Magnétiques to him. 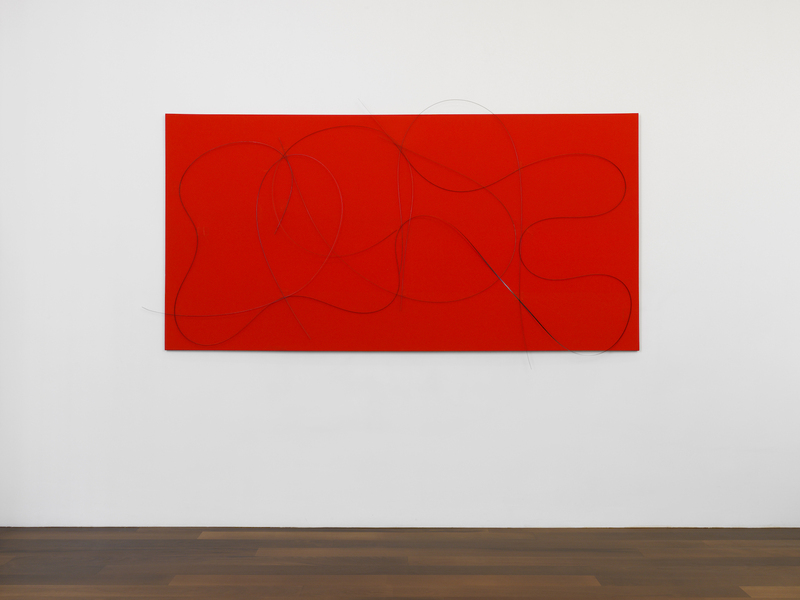 The same year his work was also presented at the Menil Collection, in Houston, TX. His artwork is a part of many private, as well as public collections worldwide. Three of his Signals are exposed in the permanent collection of the Georges Pompidou Museum in Paris.